Robert Frank has turned into a viral-video superstar thanks to his 'Jersey Shore guido meathead' alter ego's rants about PokemonGo, rompers and fidget spinners. Robert Frank couldn’t have known that “PokemonGo” would change his life, but the mobile-app game he detests most certainly did. 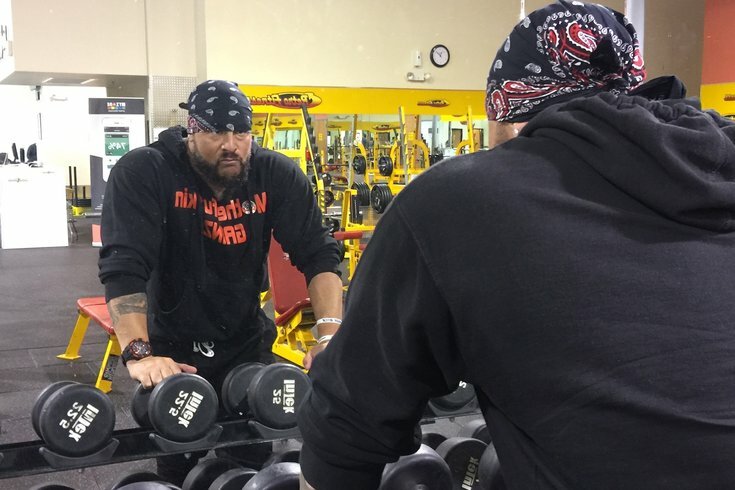 Having already created a “Guido meathead” alter ego, he’d been posting “dumb little skits” on Instagram since 2012, and ventured over to the YouTube platform two years later. Back then, he didn’t have a blueprint for where he wanted to take his online persona. Would the videos be comedy? Would they be fitness-related? How about a blend of both? All he knew was that his character was inspired by “The Situation” from MTV's “Jersey Shore" TV show. He’d played it by ear from there. Last July, however, he noticed his workout partner Joey playing the PokemonGo game at the gym when he SHOULD HAVE BEEN WORKING OUT. This was patently offensive to the ripped fitness buff’s sensibilities. 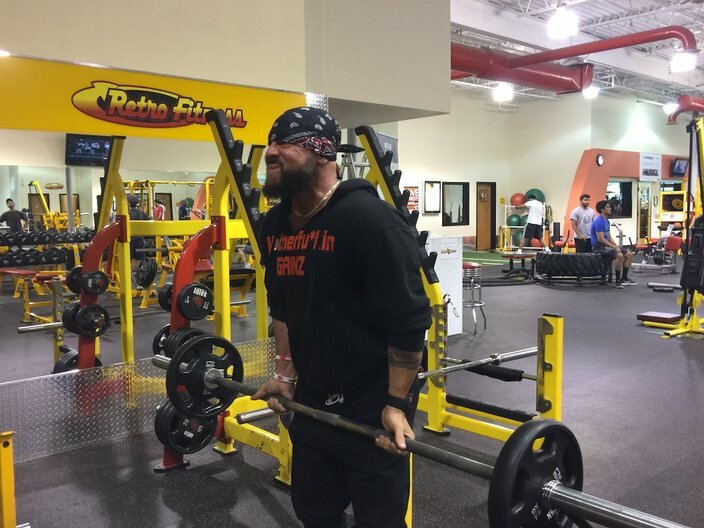 “I just got super angry,” he explained on Thursday, his 39th birthday, at Retro Fitness in Kingston, N.J. “I went outside, I put my bandana on and I just went to town. In the 11 months since, that profane “Pokemon Go F*** Yourself” has drawn some 50 million views. You can watch them below, but know full well that they are most assuredly, profanely and offensively NSFW. That “character you see yelling and screaming in the car” wasn’t new at that point, Frank said. He arrived about a year earlier “in limited doses” talking about why people shouldn’t wear weightlifting gloves” and the like. So, just who is this guy who everybody knows? Frank grew up in South Brunswick, N.J. and spent a lot of time in Brooklyn with his grandparents. Robert is his first name and Frank is his middle, but he keeps his last name private. He wasn’t always jacked to the point where it’s easy to envision him cracking open coconuts just by flexing, though. He was the youngest, smallest kid in his apartment-complex crew but never really got bullied since his friends were bigger and older. By the time he turned 20, he weighed 120 pounds soaking wet. He wanted to make that change. From there, he managed a gym and then sold Medicare supplements from 2012 until February, when he quit his job and went full bore onto the viral-video treadmill. It was – at this point – the wisest decision he’s ever made. Robert Frank said his decision to quit his job and focus primarily on viral videos has left him making more money than he's ever made before. Between brainstorming skit ideas with his team, filming videos, selling catch-phrase T-shirts on his website, working out at least twice a day and accepting invites to fitness shows as far away as the United Kingdom, he’s built up a working knowledge of how to thrive in the online economy. The PokemonGo impact on that is unmistakable. In the time since his viral moment in the sun, his YouTube following has grown from about 10,000 to 95,000 while his Instagram following boomed from 13,000 to 437,000. His Facebook fanbase jumped from 4,000 to a shade under 400,000 followers. When WorldStarHipHop and Unilad repost his videos – which they do often – he’ll see those numbers spike. At first, his videos struck some haters the wrong way. Frank chalked that up to the videos always centering on him ripping on something. His targets included – and still do, to a certain extent – CrossFit, “beginner” gym chains like Planet Fitness “that don’t want people like me in their gym,” the Mannequin Challenge, Dad Bods and rompers for men. His latest noteworthy diatribe was sparked by a visit to the Oxford Valley Mall, where he saw “grown a** men” playing with fidget spinners. Suffice it to say, he disapproved. Buoyed by a fan’s suggestion, and having seen the popularity of the fidget spinner hashtag on Instagram, the time was right to weigh in last month. When you talk to Frank in person, though, he doesn’t come off as the Steel Supplements-fueled wildman in his videos. He’s sharp, thoughtful and gives off an air of knowing what he’s doing in a field that he’s still feeling out. He’s humble about the notoriety that has people approaching him often, asking if he is Robert Frank. He gets a kick out of the fact that some folks – like several of the dozens on that recent cruise – waited until the last moment to approach him because they expected him to respond with rage-fueled screams. Business aside, he recently got engaged to his girlfriend of five years, Marissa (aka Miss Booty Jiggles), who is “100 percent supportive” even as her appearances in the videos have been curtailed since she got a “professional” job with bosses that might not appreciate the content. Getting away from early negativity, he learned that “positivity, motivation, being intense and different is what people want.” Still, he didn’t expect people to take that away from his Jersey Shore meatball persona. “He was supposed to be ‘the guy you love to hate,’ but it’s working out just the opposite,” he said. “I get thousands of emails and messages a week from people saying it motivated them to get off the couch, to go to the gym. I never expected that. But, it’s working, so I’ll keep doing it. “In all my videos, the underlying goal or message I’m trying to get out is ‘Go to the gym.’ That’s it. No matter what I’m talking about – whether it’s bullying, fidget spinners, rompers, Mannequin Challenge – the message is ‘stop what you’re doing and go to the gym.’ This country, the world period, needs health and fitness.